WSU quarterback Gardner Minshew was 39 of 51 for 323 yards and four touchdowns. 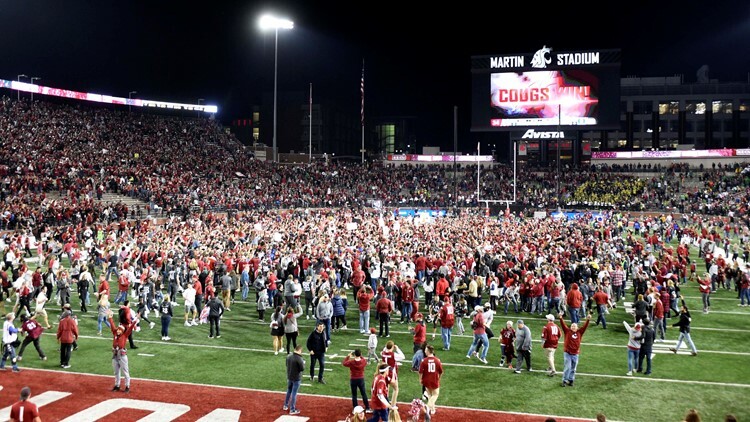 PULLMAN, Wash. (AP) - Gardner Minshew threw a 22-yard touchdown pass to Dezmon Patmon in the back of the end zone with 3:40 left and No. 25 Washington State beat No. 12 Oregon 34-20 on Saturday night. Justin Herbertwas 25 of 44 for 270 yards and a TD for Oregon.